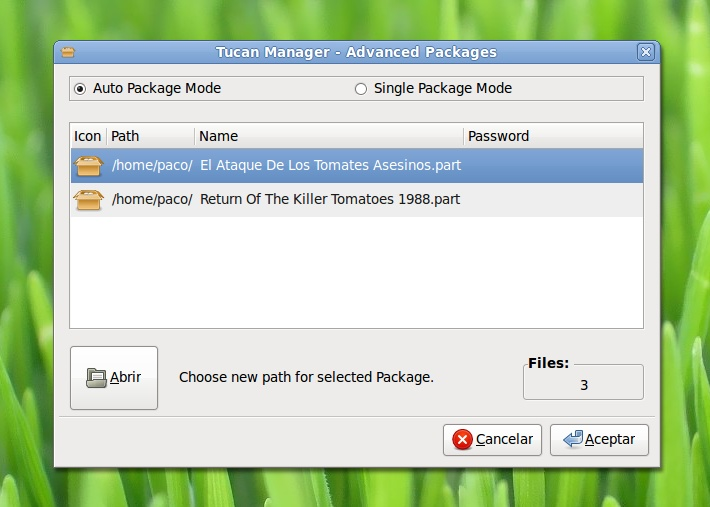 Tucan Manager is a free file sharing application designed for 1-Click Hosters. Fast and lightweight, Tucan is fully open-source and compatible with Windows, GNU/Linux, and MacOSX. With Tucan's modular support for the principal Hosters, captcha resolution, interchangeable links, premium user accounts, and many other great features, you'll learn why users around the world are making the switch to free, open 1-Click Hosted file sharing. Supporting the main Hosters like RapidShare or MegaUpload, Tucan brings a new experience to users discouraged by other file sharing methods as p2p. Tesseract OCR engine in combination with PIL library, grant Tucan the ability to solve any captcha whitout user action. Tucan also manages waits between downloads and interchangeable links seamlessly, relieving the user from this nuisance. Since Tucan is designed to be fast and lightweight from the ground up, you can enjoy all of its features without slowing down the rest of your system. No more heavy runtimes like Java or .Net, Tucan has the smallest footprint you can get.